Rustic natural wood desk is something that can never be repeated and nothing i have ever made represents this more, made from the last Elm tree on Romney marsh. 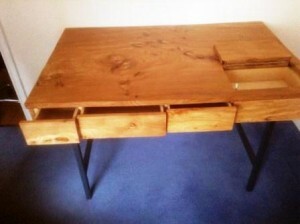 It was felled in the seventies and stored in a barn to be brought back to life in the form of the stunning natural wood desk, it consists of ten drawers and a pop up compartment for writing utensils. 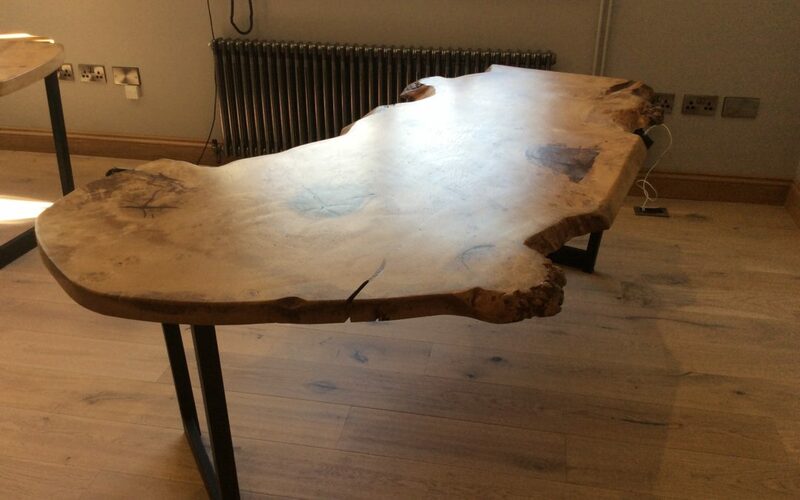 We can however make a similar rustic natural wood desk from other english hardwoods, if you have an idea. Feel free to contact us and we will work with you to design your own rustic wood design desk.